Get to know the city of Trier during this short, guided walking tour of Old Town. 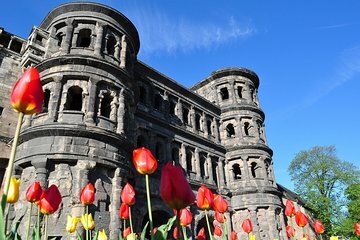 Wander in Germany’s oldest city and visit historic Porta Nigra. Stop at Three Magi, a Romanesque 13th century home and see the tower of Saint Gangolf’s Church in central Market Square. At Palastaula, stand in the throne room of Constantine the Great and see artifacts from Roman times.